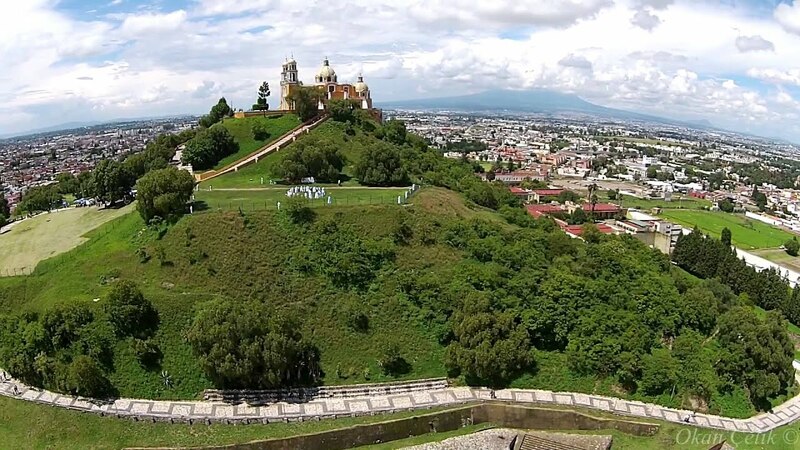 The Great Pyramid of Cholula is the largest pyramid in the world, with a base four times larger than the famous Pyramid of Giza in Egypt. The Great Pyramid is so large that infamous conquistador Hernan Cortez mistook it for a mountain and built a church on top of it. 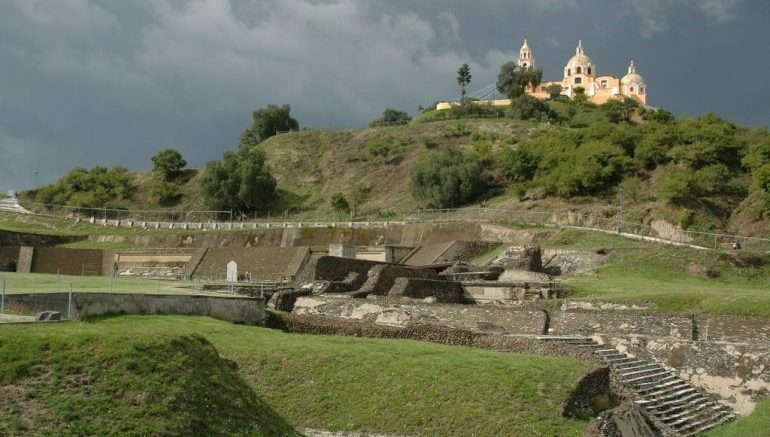 The Aztecs started building the ancient temple between 300 and 800 B.C. to honor the god Quetzalcoatl, but they kept building it up and out over hundreds of years, across different cultures and generations. The pyramid, known as Tlachihualtepetl or "man-made mountain," is actually seven adobe-brick temples layered one on top of the other, each one added by a different culture. Aztecs worshipped at the pyramid for over a thousand years. When Hernan Cortez and his army arrived in 1519, they massacred 3,000 people in a single hour and destroyed their city and temples, but they never found the Great Pyramid. It was so well hidden in fact, that Cortez mistook it for a small mountain and built a church on top of it, adding a seventh layer to the mammoth structure. The pyramid was lost until it was rediscovered by locals in building an insane asylum in 1910. So far, only 20% of the pyramid has been excavated and explored, including a network of tunnels spanning over 8 kilometers and hundreds of burial sites.